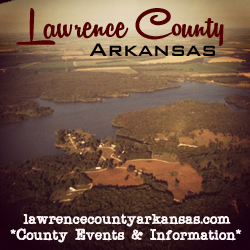 Powhatan—Arkansas African American Legislators, 1868-1893, a free traveling exhibit produced by the Arkansas History Commission and Black History Commission of Arkansas, will be displayed at Powhatan Historic State Park, 4414 Highway 25 on February 11-15 from 8 a.m. to 5 p.m. daily. Arkansas African American Legislators, 1868-1893 tells the story of the eighty-five African Americans who served in the Arkansas General Assembly in the 19th century. After the Civil War, Arkansas adopted a new constitution in 1868 and its provisions included the right to vote and hold public office for black males. African American lawyers, merchants, ministers, educators, farmers, and other professionals served in the Arkansas General Assembly. Photographs of forty-six of the eighty-five legislators are an integral part of the display. Also featured is a complete listing of the legislators and a short history of post-Civil War and election law “reforms” that effectively ended African Americans election to legislative positions until the 1970s. The mission of the Black History Commission of Arkansas is to collect black historical materials for the Arkansas History Commission; to encourage research in Arkansas black history; and to cooperate with the Arkansas Department of Education in the development of African American historical materials for use in public schools. The BHCS produces exhibits, hosts seminars, offers free educational material on African American history, and administers the Curtis H. Sykes Memorial Grant Program to fund projects related to African American History in Arkansas. Founded in 1905, the Arkansas History Commission is the official state archives, dedicated to collecting and preserving the documentary history of Arkansas. To learn more about the Arkansas History Commission and the Black History Commission of Arkansas visit www.arkives.com. For more information about the exhibit at Powhatan Historic State Park, call (870) 878-6765 or email powhatan@arkansas.com. To schedule the exhibit in your institution call the Arkansas History Commission at (501) 682-6900 or email state.archives@arkansas.gov.